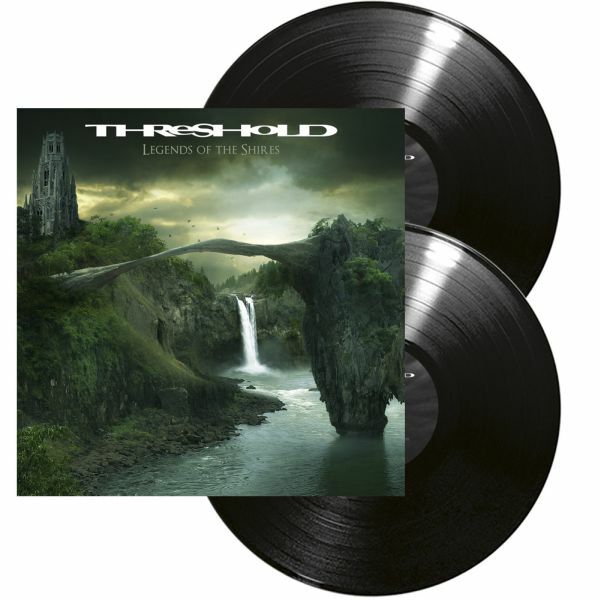 THRESHOLD - LEGENDS OF THE SHIRES VINYL (2LP BLACK) | Online Shop | Wizard LTD. Album: "LEGENDS OF THE SHIRES VINYL (2LP BLACK)"
But nothing runs smoothly, even in the virtuoso world of prog metal, and as the band approached the making of their 11th studio album, they found themselves a man down, as Damian Wilson - vocalist with THRESHOLD on three separate occasions, including the last decade of the band’s career - abruptly departed. Considering the tragic loss of another former vocalist, Andrew “Mac” MacDermott, who sadly passed away in 2011, THRESHOLD have not had the greatest of fortune when it comes to retaining their vocalists and, arguably, a lesser band would have crumbled in the face of a potentially damaging line-up shuffle, but as keyboardist and Groom’s songwriting comrade Richard West explains, there was one obvious solution to this latest setback: for their brand new album, »Legends Of The Shires«, THRESHOLD - completed by drummer Johanne James and bassist Steve Anderson - are welcoming former singer Glynn Morgan back into the fold, for the first time since fan-favourite full-length »Psychedelicatessen« in 1994.